Flock is over. It was nice, good conversations, useful talks and workshops, it was awesome to see everyone once again. And I liked the location. The theme of this year’s Flock was “do-sessions”. It means, less talks and more workshops, hackfests and discussions. I liked that I could try things and be part of the discussions, but at the same time, I missed big talks. Also some talks with similar topics were scheduled at the same time, so one had to make tough choices. 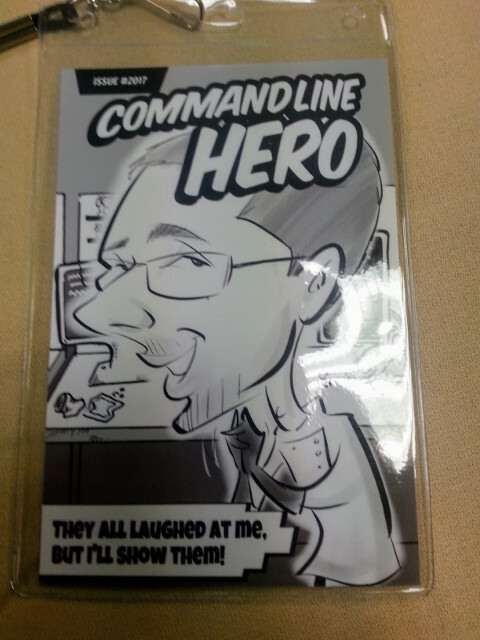 One of the most visible things one could see during Flock were comics portraits! These were drawn by a professional artist. Everyone was running around with a portrait of their own, I loved this! The booth was sponsored by RHEL product marketing team. Here are some of my assorted notes from talks and workshops I attended. Matt was running his favorite graphs and current state of the art. They were looking pretty good! Fedora 25 and 26 received good feedback and press talked about those releases positively. Looks like that Fedora is getting more and more installs (26 is bigger than 25, 25 is bigger than 24). Matt introduced well-known projects/initiatives, such as Project Atomic, CI initiative, Modularity. Graph of contributors is pretty much consistent for ~3 years. Mike Bonnet talked about vision of Factory 2 team and introduced basic concepts of the new tools the team is working on. 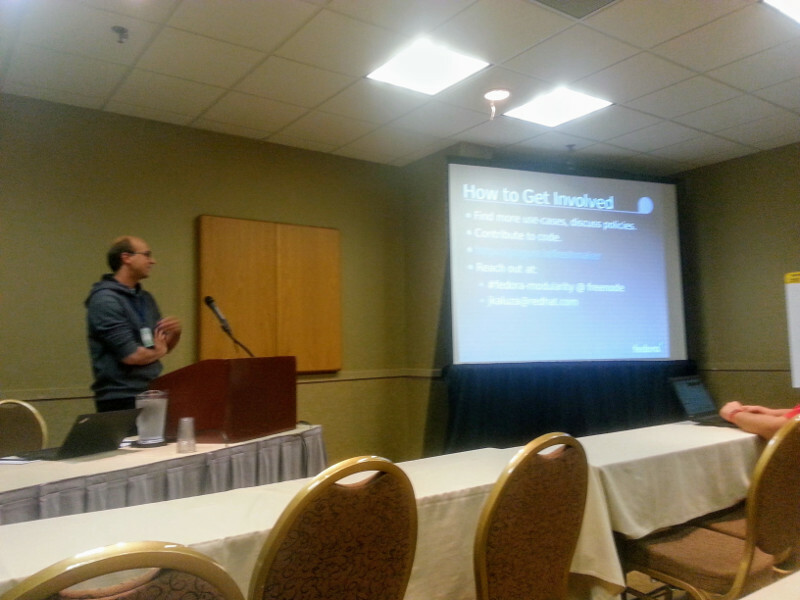 Most of the tools got a standalone presentation on their own by their core contributor. There is more than 20.000.000 tasks in koji. Latest Fedora release contains 54.000 binary RPMs. Which is 215 RPMs per active maintainer. I hope it’s obvious that humans cannot manage this. Especially with introduction of modules. Hence all the new tools which will make our lives easier. Contains policies to rebuild artifacts. And initiates rebuilds of artifacts. There are various events one may be interested to rebuild an artifact. When RPM hits stable (slower workflow). When RPM (or module) passes tests (faster workflow). A service for making decisions – is this artifact good? Gating points at certain places, e.g. a test of artifact has finished. Gating is based on policies. dist. * checks, which you may find in bodhi, are Fedora policies. WaiverDB is a database of waivers against ResultsDB. What happens when a module goes EOL? Should there be a dnf plugin to inform the user? Arbitrary branches can be used only with modules. The maintainer is able to release the module via Bodhi. There will be one OpenShift cluster per CPU architecture. There will be one additional OpenShift cluster which will orchestrate the builds. There was a question from audience why not label nodes and use selectors. Response from Adam was, that upstream team tried to go for this solution, but realized it would be too hard to implement so they chose the path of multiple clusters. Build-time filtering: discard packages (built locally?) which are specified in filter section of modulemd. Transitive dependencies: MBS should enable modules, which are defined as runtime dependencies of modules listed in buildrequires — the workaround for now is to put those modules in buildrequires. Smarter component re-use: less rebuilds! The context value (of modulemd): this one is related to the next point — context value should distinguish builds which are performed against different platforms. Stream expansion: building a module against multiple platforms. Same as MBS talk: the most significant slide was — what’s coming? Small human edit — generated outputs — I don’t recall this one, but I hope it could be related to generating modulemds and let humans just polish the final recipe. Generate from SRPMs — is it possible to generate a modulemd from an SRPM? Tool to see the whole ecosystem — in which module lives package X? Distribution-wide tests — can this modular distribution be installed? COPR & Varant to be used for local development and scratch builds. You can find Langdon’s slides over here. This session was up every day. It was interesting to see community members to go though the workflow of modular dnf. They asked some very good questions and found several issues (including me!). I think Martin Hatina received a very solid feedback which he’ll be working on next weeks. The main outcome for me was, when Sinny Kumari asked about a container image of boltron for different CPU architectures. Obviously we didn’t provide anything like this. So I started working on a guide how to do this locally. Expect another blog post! This was my workshop. Overall, I received good feedback. Unfortunately we didn’t have enough time to build some real modules, nor was Internet connection stable enough. The most interesting outcome for me was that people could see what it takes to create a new module and what the steps are to build it locally. Clearly, this was confusing to some, since the process of defining modulemd is not completely straight-forward. There was a lot questions and fruitful discussion. But in the end, everyone seemed to be on the same page. Which is awesome. The interesting part is that prior to my session, we were having pretty advanced discussion about what it would take to modularize the whole distribution. And after that “complex” discussion, we’ve got back “to the roots” of creating roots. It was great to teach everyone the essentials of creating modules so people now understand what modules really are and how to make them.